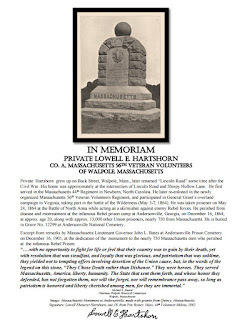 The Private Hartshorn Memorial located on the Town of Walpole webpage. 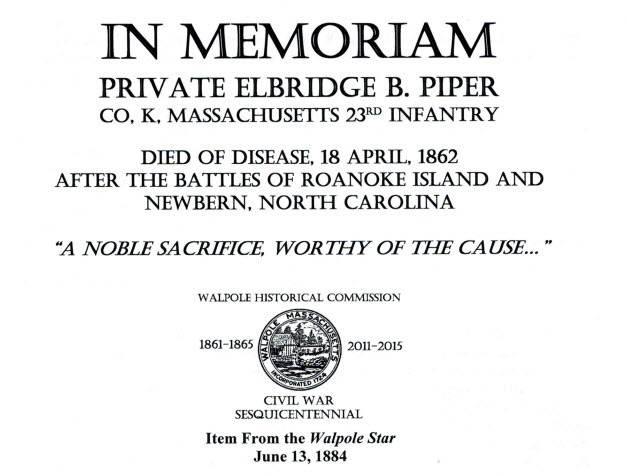 Peruse the whole document, because it links to the booklet about the Dedication Ceremony of the Massachusetts Monument at Andersonville. 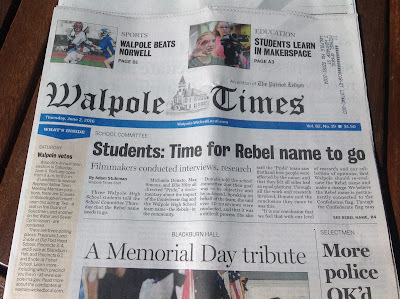 Congrats to the students at Walpole High School..when will the adults figure this out? The online Civil War diary of Henry Tisdale, born in Walpole, Massachusetts. Sgt. Tisdale, of Co. G, 35th Massachusetts Infantry, enlisted on July 10, 1862. He was taken prisoner at the Battle of North Anna, Virginia, on May 24, 1864, at the same time and place as Walpole's only POW to die in captivity: Private Lowell E. Hartshorn. Page through the Diary to May 24, 1864, and you will have an eyewitness description of how two Walpole boys were captured by Rebel forces at North Anna. His Diary was written during the war, including passages of his imprisonment at the infamous Rebel Prison at Andersonville. 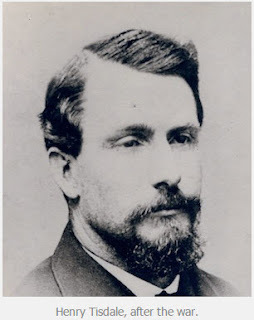 In my research on Walpole's Private Lowell E. Hartshorn who died at the infamous Rebel Prison at Andersonville, Georgia in 1864, I came across the story of the Reverend H. Clavreul who, during part of 1864, assisted the Reverend Father Whelan in administering the last rites and penance of the Catholic church to dying Federal prisoners confined at the prison. Apparently few religious persons wished to enter the prison except for the Catholic priests. Reverend Clavreul kept a record of the hundreds of men he administered last rights to, as well as confessions, and a few baptisms. Many of the men were of Irish descent, most of them straight from Ireland itself. Francis W. Bird....noted local manufacturer from East Walpole, local and state politician. Founder of the "Bird Club" of Cornhill St., Boston. Friend of Senator Charles Sumner, noted "Freesoiler", Abolitionist, and instrumental in promoting John Albion Andrew as Governor of the State of Massachusetts, who presided over the state during the Civil War, and who led the creation of African-American troops during the Rebellion. F. W. Bird's vision is a great lesson for the children of Walpole: to uphold the Declaration of Independence that declares "All Men Are Created Equal..."
Suggestion: Always teach your children the truth about American History, Massachusetts History, and Walpole History. They will thank you in the future. Read this link to F.W. Bird's biography on Google book. Learn something about Walpole History, and how it shaped the future of the United States of America.